Happy Wedding Cake Wednesday! This week's cake is accented with an elegant monogram and delicate beading which really give it a feminine feel. 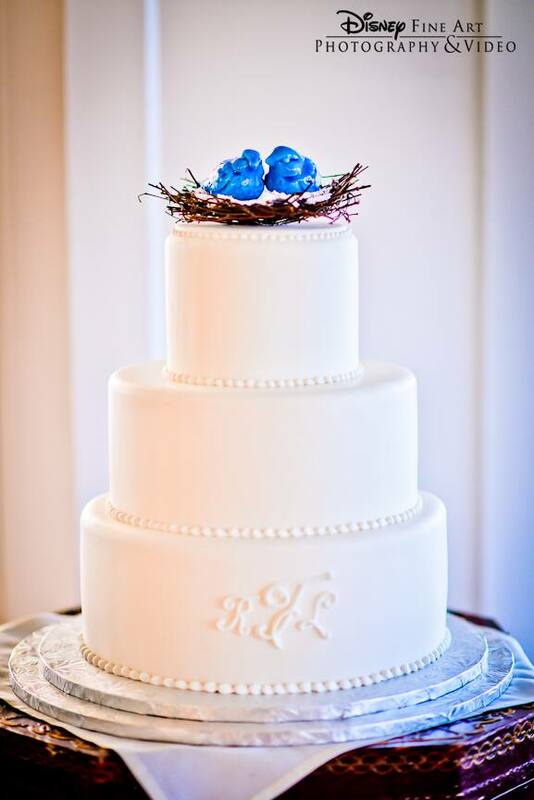 In a charming touch, it's topped with a lovable vintage-style bluebird nest. 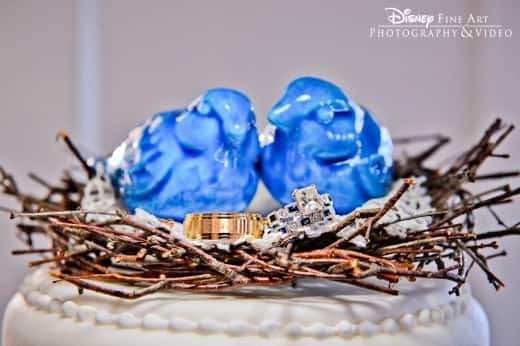 The bluebirds are a symbol of happiness, contentment and good fortune- our wish for each of our Disney's Fairy Tale Weddings couples.